reminds RK of Eggstone circa 1993: coming out of nowhere (Tasmania is Mr. Rochester's home) with a gorgeous sound; and almost completely unaware of the bands you would name when attempting to describe the music. So how did RK discover the Tasmanian? Why, through the Norwegians, naturally. Christoffer from Nice System/Remington Super 60 and Christer from Micromars put together a compilation to document the young Norwegian scene...making Anthony into an honorary Norseman in the process. Two-and-a-half years in the tinkering, Anthony Rochester’s much-anticipated second long player is a producer’s album: densely layered melodies and sounds, sounds, sounds! Start with that classic bass sound of the French 60s (think Serge Gainsbourg or, more recently, Bertrand Burgalat). Add a truckload of keyboards (piano, Hammond, classic synths...the portamento button even gets a mention in the album thank-yous), guitars galore, strings, operatic “Star Trek” backing vocals, flutes, off kilter recorders, etcetera etcetera. Top with Anthony’s laid back vocals and wayward, shy-guy charm. Mr. Rochester plays almost everything himself, from drums to violin, but still pulls in a good handful of guests, among them Norwegian future-pop maestro Micromars (whose electronics soup up the album’s aching, dreamy finale) and the mezzo-soprano from next door. Mastered by Jiri Adamik-Novak (Cinnamon), who never says more than a word or two about anything, except in the case of this album, where he used at least 30. Reference points: Komeda, Bertrand Burgalat, Eno’s Another Green World, Remington Super 60, Shuggie Otis, Stereolab. A return to the thriller-esque mode of 18fps’ debut The Flight of Everson K. Swedish artist Testbild! turns in a surrealist detective stomper in the form of “His Shadows are Green / His Shadows are Blue” which probably owes almost as much to band leader Petter Herbertsson’s obsession with writer Paul Auster as to postpunk and krautrock experimentation. A jagged, melodic tour-de-force. 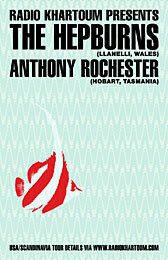 Flipside features “Special Delivery Agent Q-39,” the recording which got Tasmanian multi-instrumentalist Anthony Rochester signed to the label: twang guitar and stabbing flute spy instrumental, standard procedure. Except that Rochester kicks the genre sideways with a 5/4 time signature and an uncharacteristically wistful air... Both tracks exclusive. 01. Testbild! - "His Shadows Are Green / His Shadows Are Blue"
02. 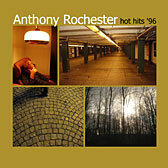 Anthony Rochester - "Special Delivery Agent Q-39"